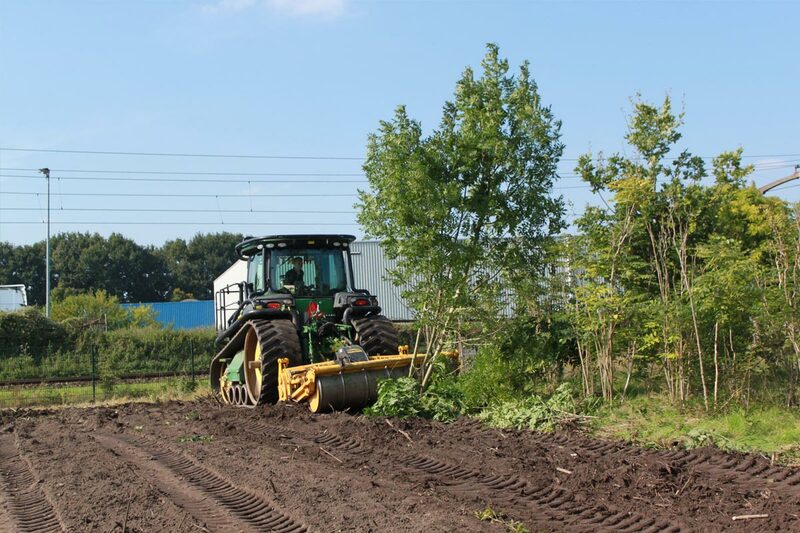 Mulchers are the fastest and most effective way of clearing new fields. The process begins by removing any big and valuable trees and large boulders. 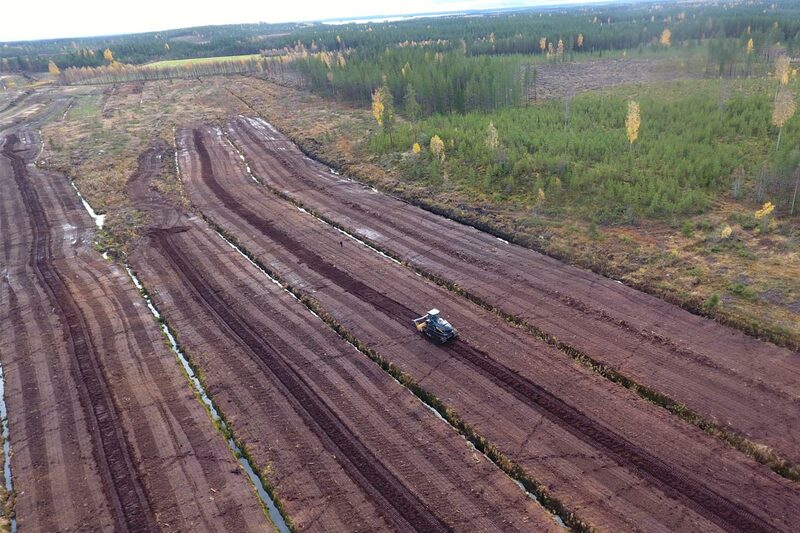 The mulcher is then driven over the field a couple of times in different directions. 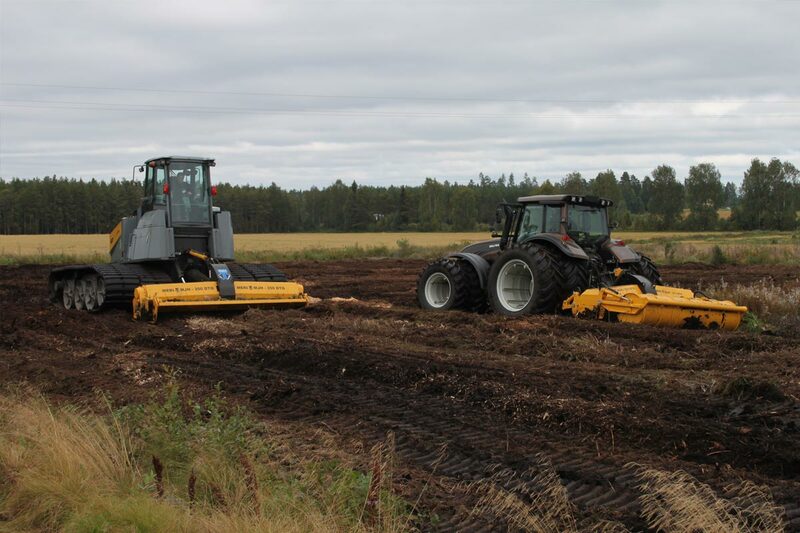 Unlike when using an excavator to clear fields, it is not necessary to transport soil and stumps away from the fields afterwards. 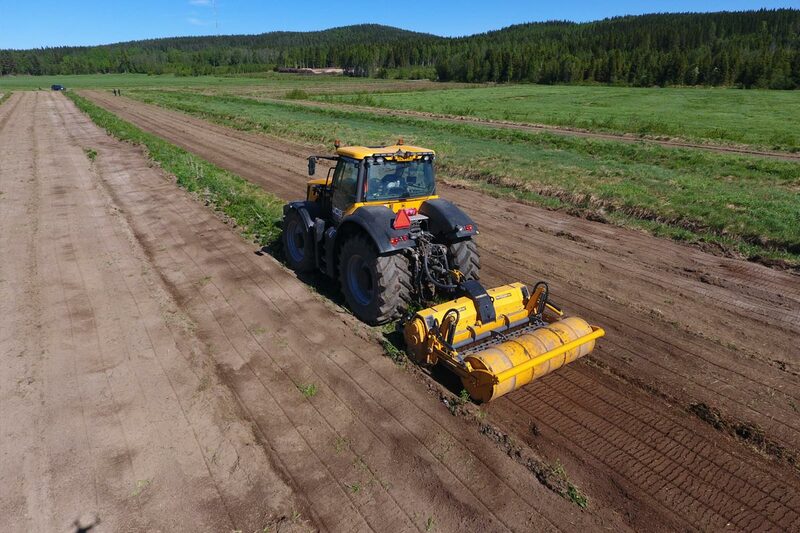 Our MJH series mulchers are ideal for clearing large fields, while our MJ and MJS models can be used for smaller areas.Our MJH mulcher has a subsoil working depth of 30 centimeters and a working width of 2.4–3.5 meters, and it is very effective at eliminating stumps. 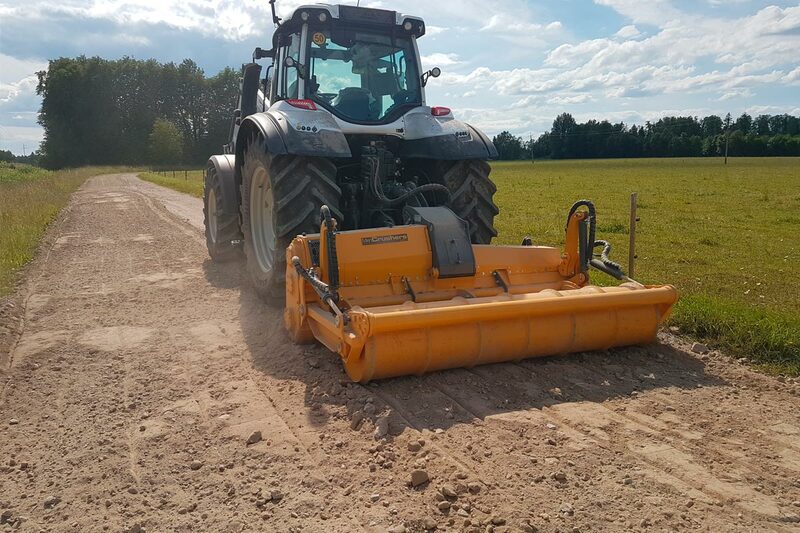 Since the working speed cannot exceed 5 km/h when clearing fields, productivity can be increased instead by increasing the working width. 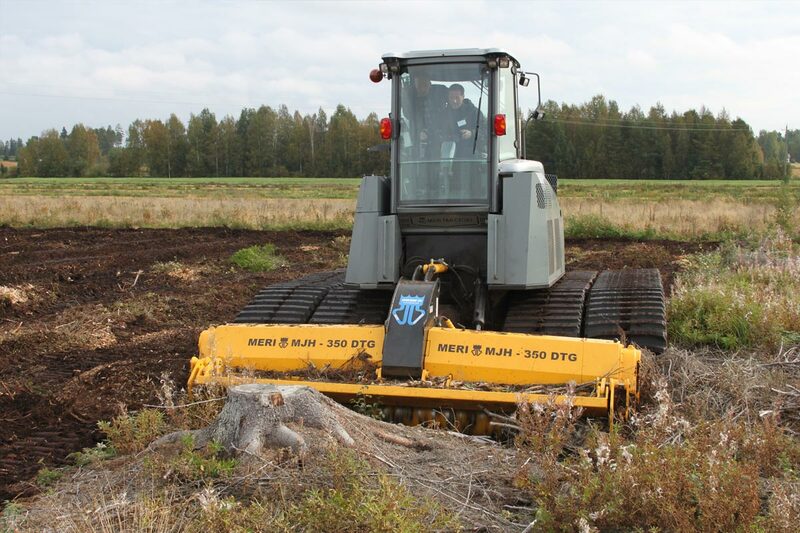 The maximum working width of the MJH model is as much 3.5 meters, but the total weight is still just four tons.The 3.5-meter mulcher can be powered by a large agricultural tractor or the SUOCCO crawler tractors by Suokone. 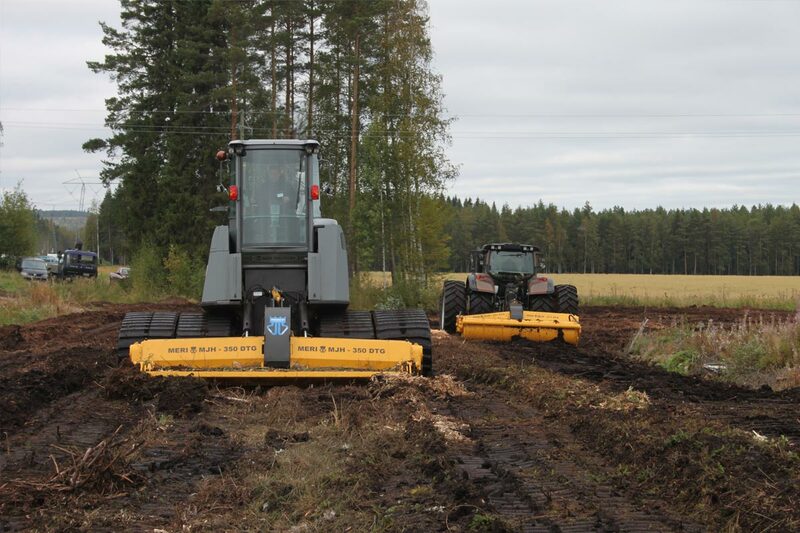 The MJH series mulcher is able to utilize all the power offered by large tractors. 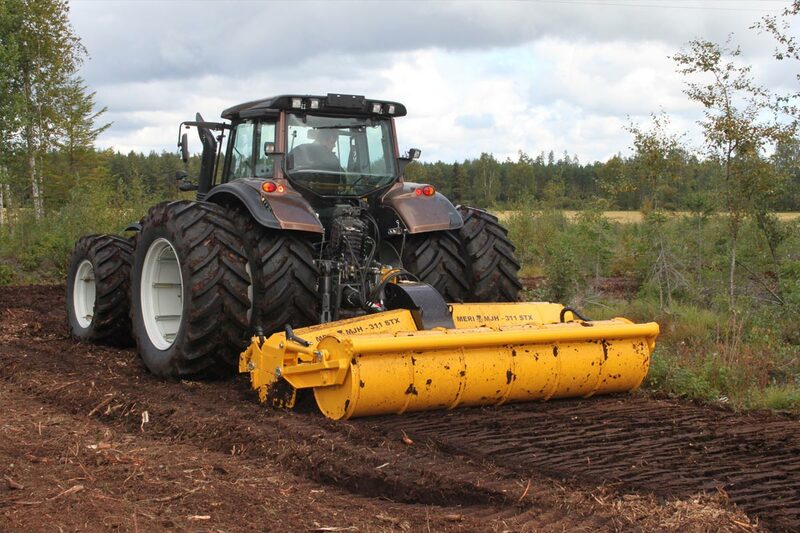 The MJH mulcher can operate with 400 horsepower, but the mulcher’s transmission can be specified to handle up to 800 horsepower. 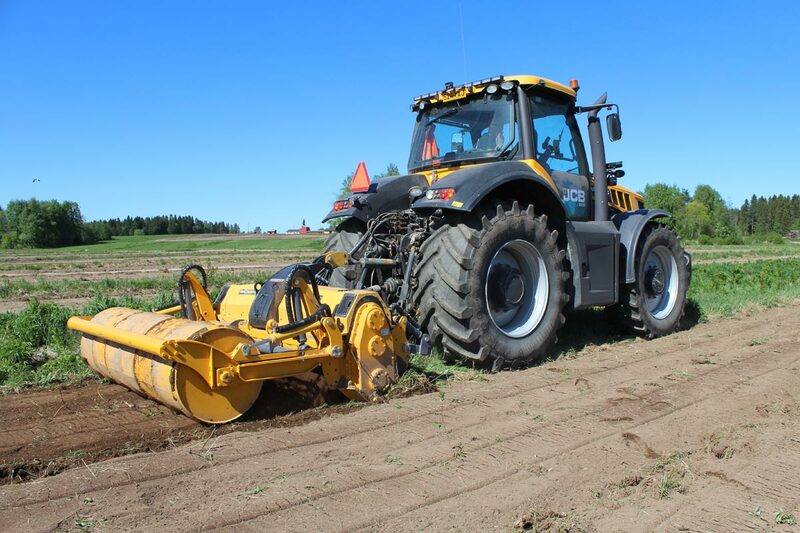 Our heavy-duty MJFS series mulchers have a subsoil working depth of 40 centimeters without stressing the PTO drive shaft, which is articulated to enable truly deep subsoiling. 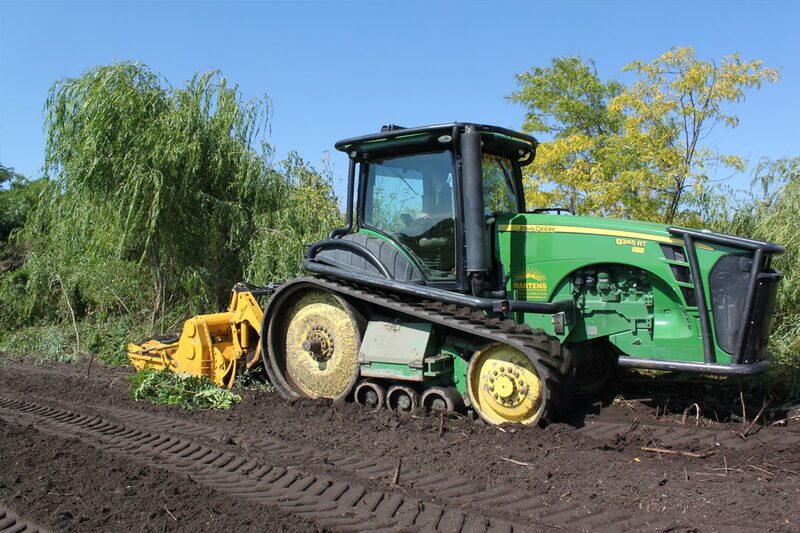 In addition, MJFS mulchers have a pivoting rotor frame that makes it easy to mulch tall stumps. 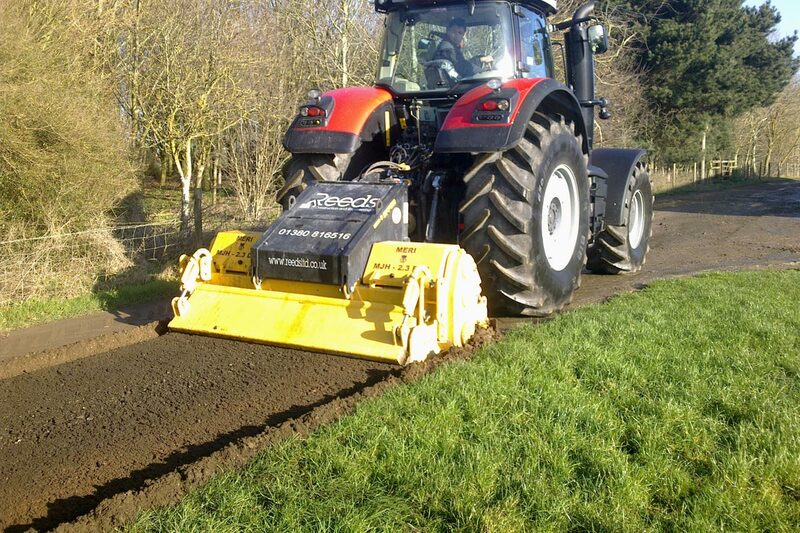 MJS, MJH and MJFS mulchers are available with an optional screen that produces extremely fine mulch. 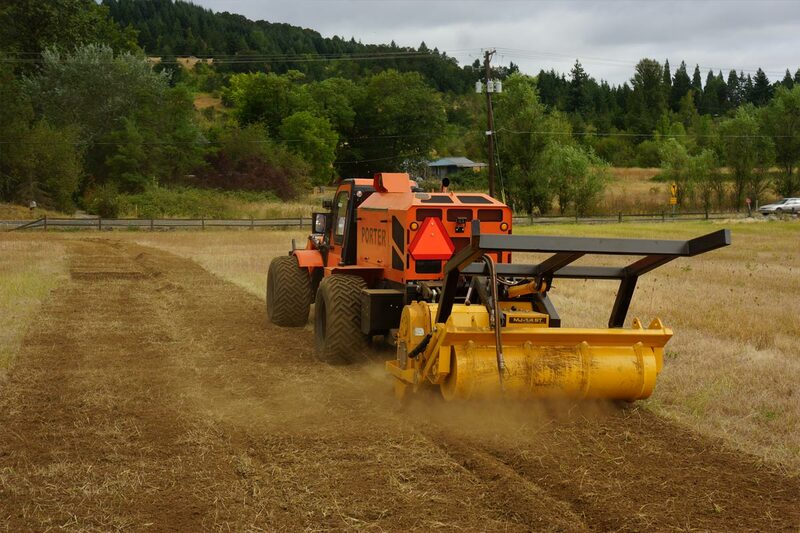 The crushing and screening takes place automatically while mulching, eliminating the need for a second fast-spinning mulcher. 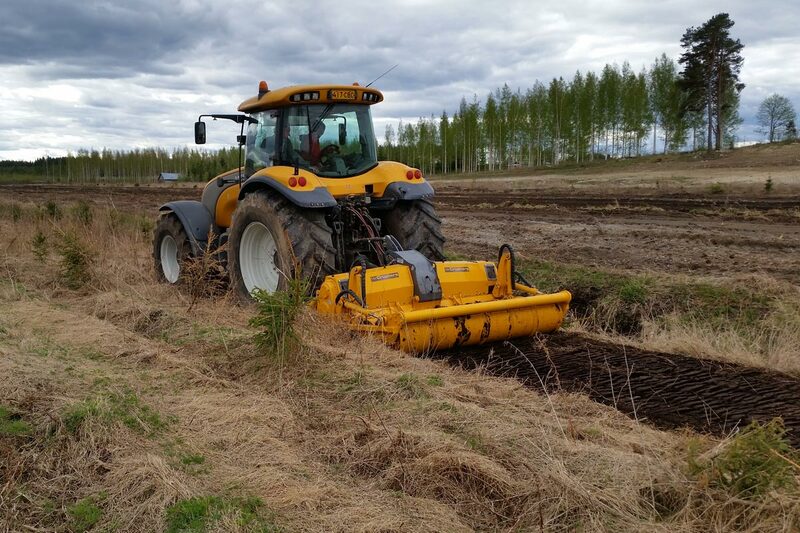 Instead, subsoiling and extremely fine mulch can be achieved with one machine. 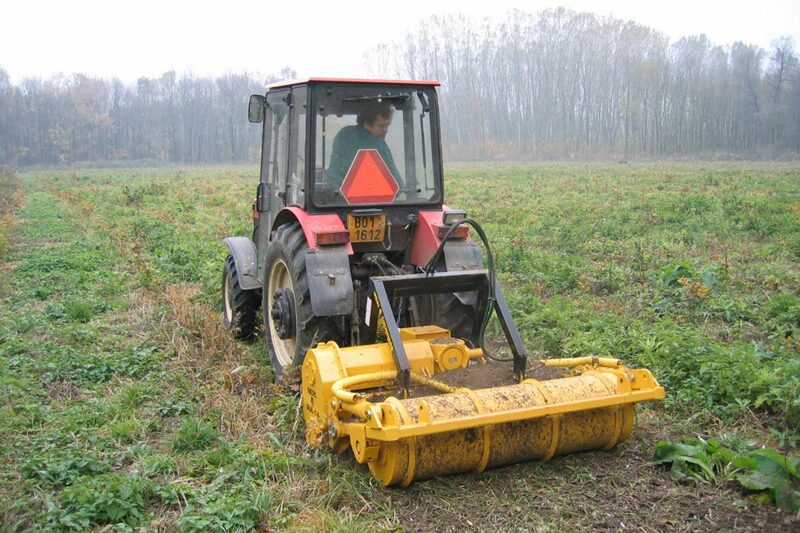 Mulchers are a cost-effective and fast way to restore overgrown fields, meadows and pastures. 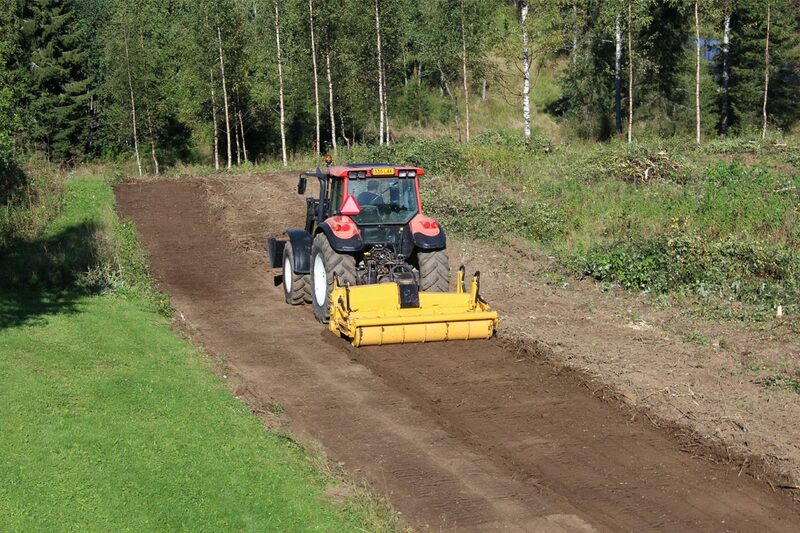 Our powerful yet agile MJ and MJS series mulchers are ideal for restoring pastures with diverse undergrowth. 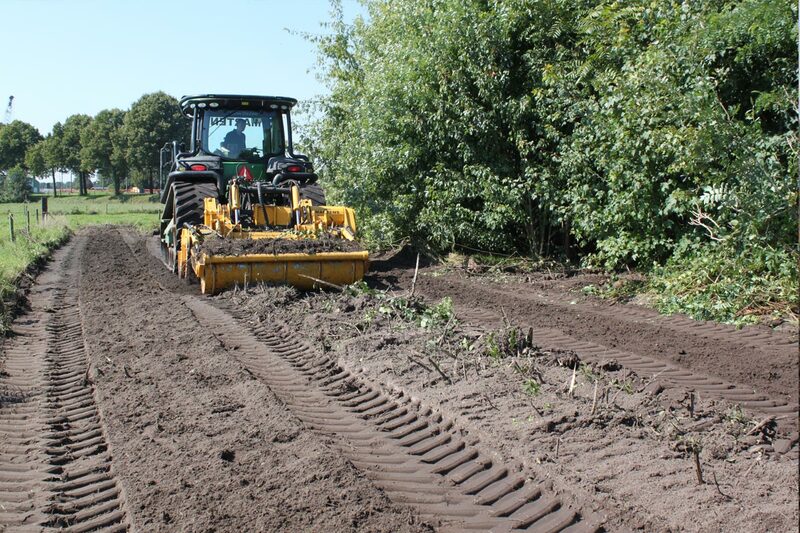 All MeriCrusher mulchers can mulch thickets and their roots to a depth of 20, 25, 30 or 40 centimeters. 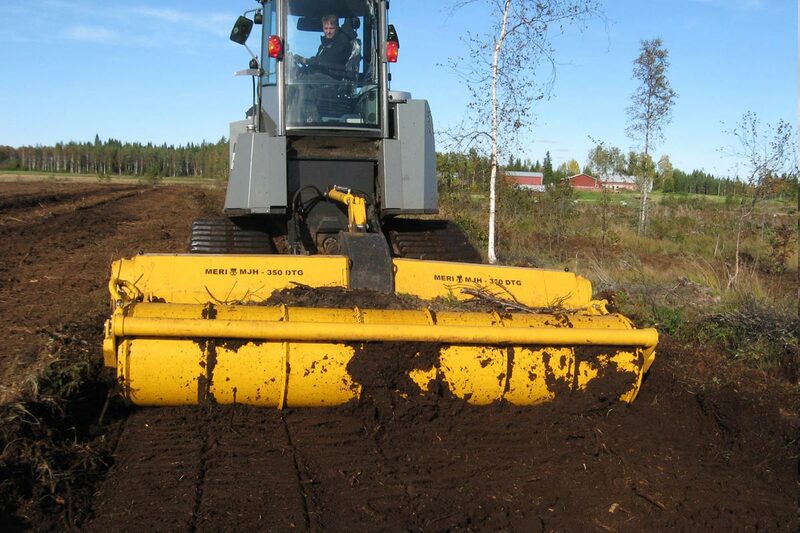 Mulchers by other manufacturers simply mulch the topsoil. If the roots are left undamaged, they will use the restored topsoil and wood chips as fertilizer and grow back rapidly with thick stems. Mulching the roots deep beneath the soil will control thickets for much longer, and further conditioning can be done with lighter equipment, such as a mower conditioner. 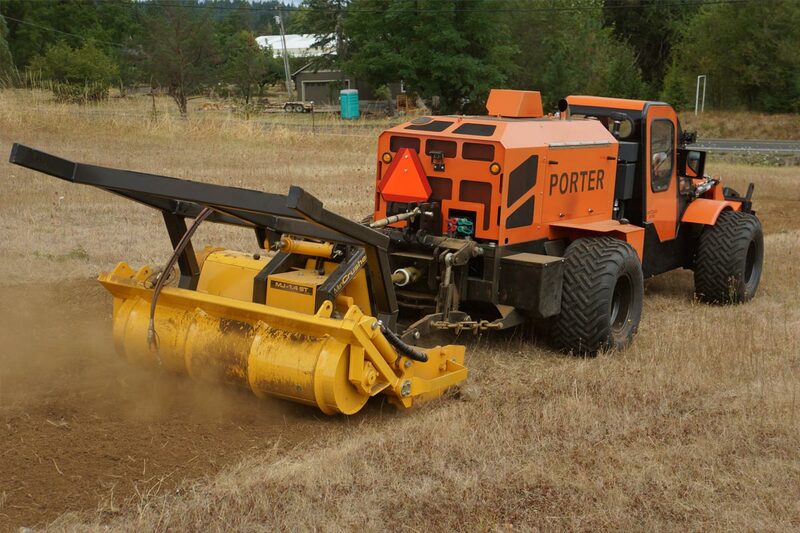 MeriCrusher mulchers are around 25–50 percent lighter than similar-sized models by other manufacturers. 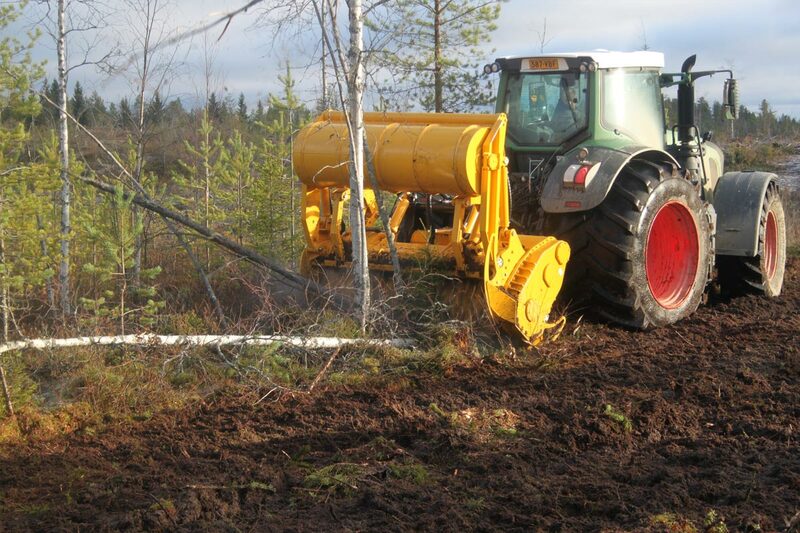 This is a big advantage when restoring wet old fields or pastures, since a lighter tractor can be used to prevent sinking. 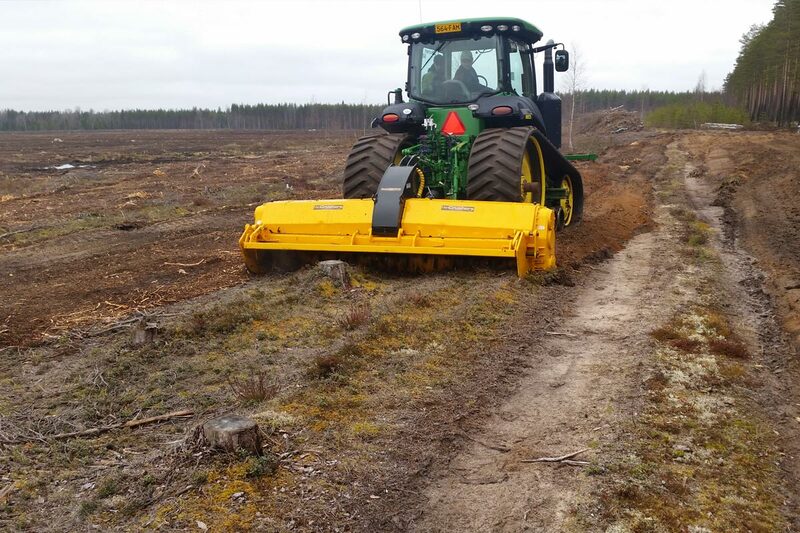 Mulchers are an excellent tool for maintaining farm roads. 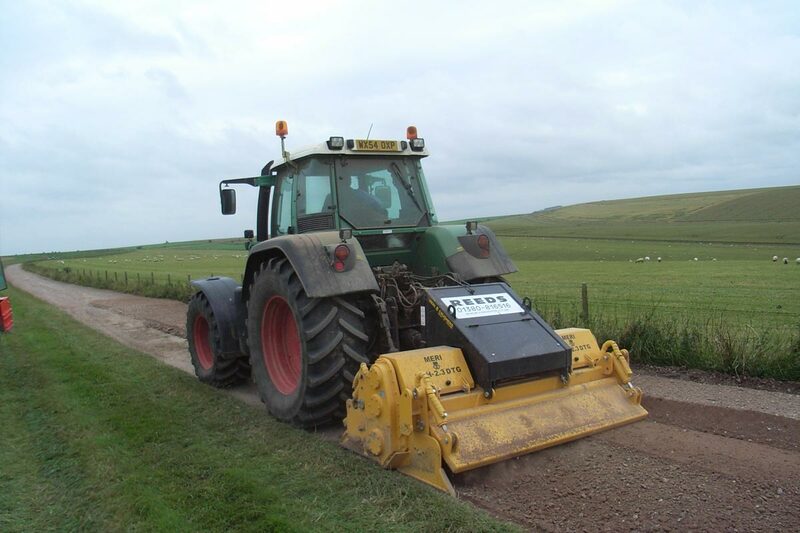 Mulchers can be used to repair bumpy and hard roads with potholes that can no longer be levelled with a blade. 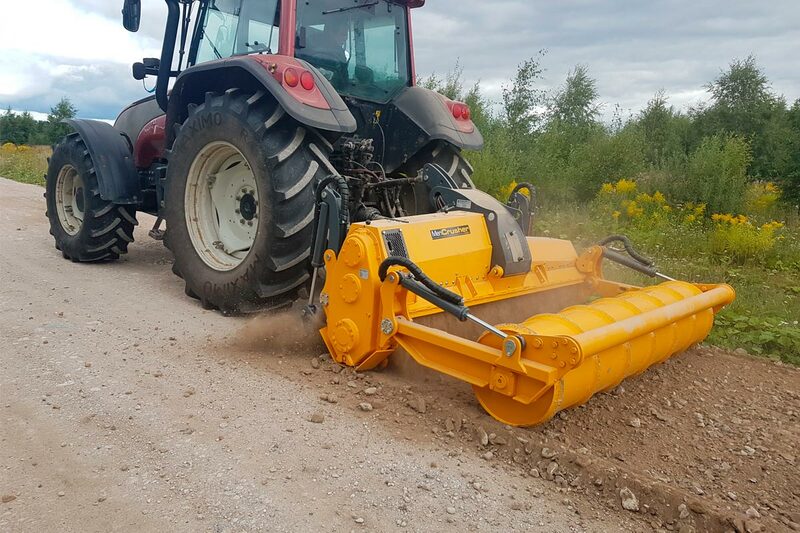 MeriCrusher mulchers can reach depths of 20–40 centimeters beneath the surface of the road. 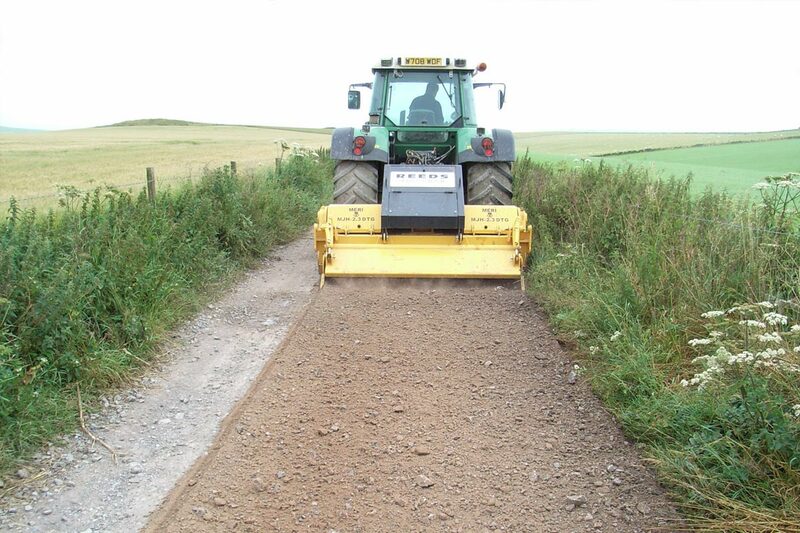 All of the road materials, rocks included, are crushed while the surface is levelled simultaneously. 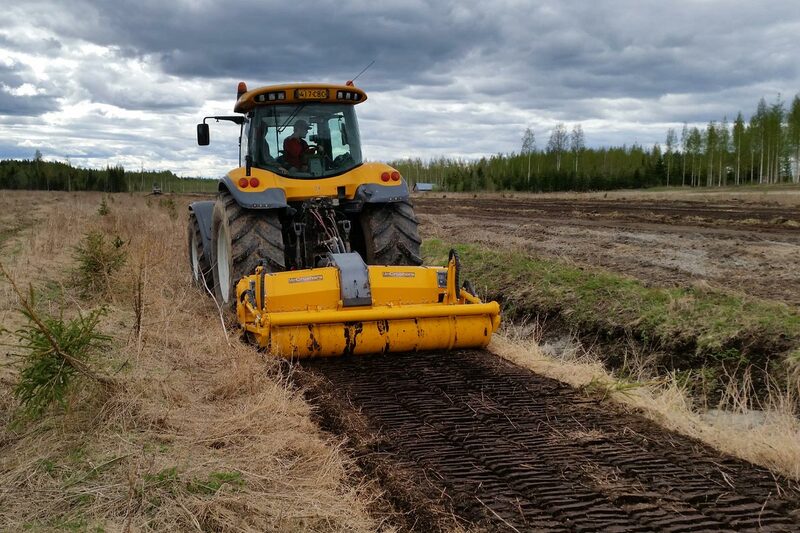 The big advantage of using a mulcher is that it eliminates the need to transport road materials away and replace them with new materials. This generates significant savings in material and transportation costs, accelerates work and helps save the environment. 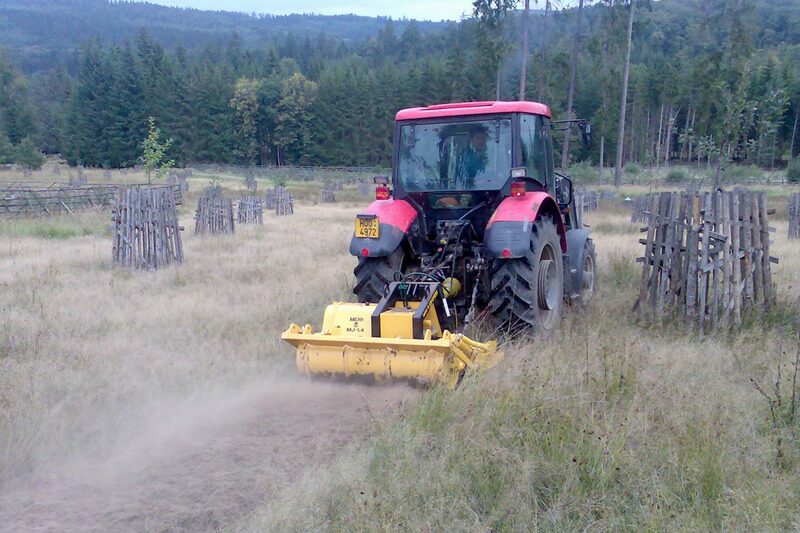 The RC models of our MJH series of mulchers have been designed especially for repairing gravel roads. Instead of a rear roller, they have hydraulic material feed guide plates in front and rear.